Djibouti, Asharq Al-Awsat- Following his meeting with French Foreign Minister Bernard Kouchner in Djibouti, the new Somali President, Sheikh Sharif Sheikh Ahmad, called on the Arab countries, particularly the Gulf States, to support his government. In an exclusive interview with Asharq Al-Awsat, the Somali president appeared optimistic that the chronic problems facing his country, which has been mired in civil war since 1991, will be resolved. [Asharq Al-Awsat] What has changed in your country since your election as president of the Republic of Somalia? [Ahmad]What Somalia witnessed over the past few years was very painful. However, the efforts to bring about accord and peace have recently succeeded. This was manifest in the election of a new president and the appointment of a prime minister and a new government. This government has received the confidence of the parliament, the Somali people, as well as the international community. I anticipate that the international community, particularly the Arab countries, will take a strong, practical stand in our support because it will greatly help render the government's endeavors successful. [Asharq Al-Awsat] Have you contacted the Arab and Gulf states; what are you practically asking for? [Ahmad] Intensive contacts are under way with the Arab countries, particularly the Gulf States. All of these countries have given their blessings to the steps we have taken and have expressed readiness to stand by us and by the Somali people. [Asharq Al-Awsat] When will you go back to Mogadishu? [Ahmad] I will go back very soon, God willing. [Asharq Al-Awsat] We are told that that you are going back on Tuesday, is this correct? [Ahmad] I will go back very soon. [Asharq Al-Awsat] Do you have a plan for normalizing the situation in Somalia as acts of violence and piracy continue to be launched from the Somali coasts? [Ahmad] We have started taking bold steps to address this problem. We have set up committees to be in charge of security in the capital. Calm is returning to Mogadishu's neighborhoods and to many other parts of the country. The government's plan is to give the security issue absolute priority and provide humanitarian aid to the needy and to those affected by both wars and drought. In tandem with these steps, we want the government's work to be transparent, and to keep in contact with the other parties in Somalia and with the outside world, and to focus on fostering our relations with the Arab world. [Asharq Al-Awsat] How can you move on in Somalia as there is no central administration or state, and there is no security, and government authority is absent in large parts of the country? [Ahmad] The problems of the absence of administration and the collapse of the state will be solved by our efforts. The new government contains competent cadres. I believe these cadres will push for restructuring the state and rebuilding its institutions. In addition, we will have in the government a security team that will be tasked with establishing peace in the country. The government has begun working along the lines I have mentioned. As for the Somali parties that did not approve of the government formation, our response is that we will be open to dialogue. Efforts and mediation attempts are being made by Somali religious scholars, tribal chiefs, notables, and by the religious scholars of the Islamic world. All these efforts seek to achieve the sole goal of persuading the Somali parties to lay down their arms and opt for negotiation and conviction. [Asharq Al-Awsat] Much is said that the Al-Qaeda organization has established bases in Somali, what is the truth about this issue? [Ahmad] I cannot firmly confirm that Al-Qaeda exists in Somalia despite the general conviction that does. What I know is that the jihadist ideology has spread in the country. We do not reject this ideology, but we maintain that it must be disciplined by the Islamic Shariaa tenets. [Asharq Al-Awsat] The other problem Somalia is facing is the phenomenon of acts of piracy and the failure so far of the international measures, which have been in force in the past few months, to put an end to the growing acts of piracy. What are you going to do in this respect? [Ahmad] The acts of piracy are a result of the absence of security in Somalia. 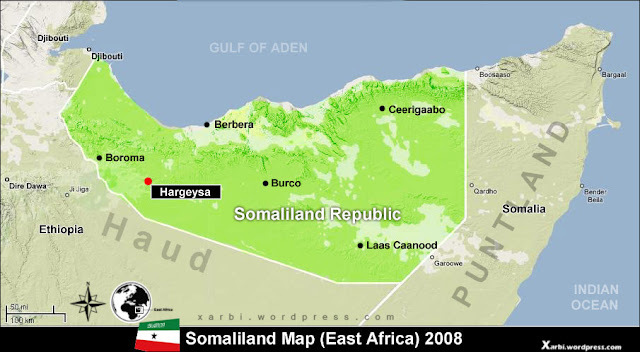 This problem can be solved by re-establishing security and forming a Somali naval force capable of combating this phenomenon. [Asharq Al-Awsat] With the support of the African Union you seek to form a 10,000-stong security force. How will you achieve this goal and how will you be able to recruit this large number? [Ahmad] This force which we are seeking to form will be the nucleus of the Somali security forces that will impose security and stability. We will form this force from selected elements from the existing police force and from some elements of the resistance. Every Somali citizen who is prepared to work for his country and do his duty will be able to join this force. [Asharq Al-Awsat] France has expressed preparedness to play a part in training the Somali security forces provided the training will take place in Djiboutian territory? [Ahmad] This is exactly what we need: Rehabilitation and training. The French foreign minister has promised us to do all he can to help Somalia and he has urged the EU countries to do their part to help Somalia.